A seven-year-old saved his younger sister as their house caught fire. Another 9-year-old did not think twice when he jumped into a tank and rescued his drowning friends. Truly these children have the heart of a lion and are rightly being honoured with the National Bravery award. Priyanka catches up with India's little champions on the eve of Republic Day as they narrate their stories. On a warm night in May of 2012, 16-year-old Mukesh Nishad, a labourer at a rice mill in a village in Sirsa district, Chhattisgarh, was returning home after his shift. At a little distance away from his house, he saw that a storehouse was on fire. The blaze spread and soon engulfed the entire house. "There were huge flames, and I could see hear children crying out for help," he recalls. Mukesh rushed to their help and pulled out six children as the warehouse gutted down. 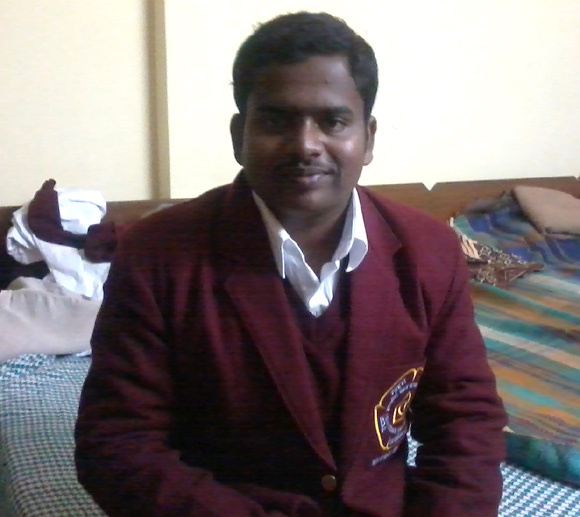 The Chhattisgarh lad is among the 22 who have been honoured with the National Bravery Award this year. The contingent is currently enjoying their last couple of days in the capital, before they set off to their homes after Republic Day. The local collector had recommended Mukesh for the award. The eldest of three brothers, he could study only till Std V. "I had to leave school and start earning after my father passed away. I have to manage to the house," he explains. "But now I want to study and do something in my life," he adds, beaming. Other proud recipients of the National Bravery Award this year are students from Uttar Pradesh, Kerala, Mizoram, Meghalaya, Rajasthan, Gujarat, Maharashtra and Karnataka. The youngest of them all is seven-year-old Koroungamba Kunam from Manipur. He excitedly jumps around a bonfire arranged for the children in the capital. Others join him, they dance and sing merrily. Koroungamba's father teaches geography at a nearby college. A fire broke out in their house in July 2011, while Koroungamba lay asleep with his sister. He woke up, and hurriedly stocked his sister's bed with clothing lying around. He moved her to a safe place, and raised an alarm. His father now says jokingly, "When his sister's bed caught fire, he tried to save her just like Tom and Jerry. He tried to put out the fire like Tom and Jerry." Twelve-year-old Larinhlua also prances around happily. While playing with a few mates near his village in Mizoram, he rushed to a pond nearby. Larinhlua pulled out a young boy who was drowning. The children here were accompanied by their parents. They are proud and appreciative, but still at times cannot grasp the reasons for the actions of the brave children. The father of Pawan Kumar Kanaujiya, 12, says he still does not understand how his young son could fight off strong, muscled assailants in their house. The family of five was returning from a ceremony in April 2012, when they realised that their house in Lucknow was being robbed. As soon as they entered the house, the robbers hit the father-son. "I don't know what came over him, but he took the adults head on," says the father. Both of them suffered serious injuries but the gang of robbers was caught. 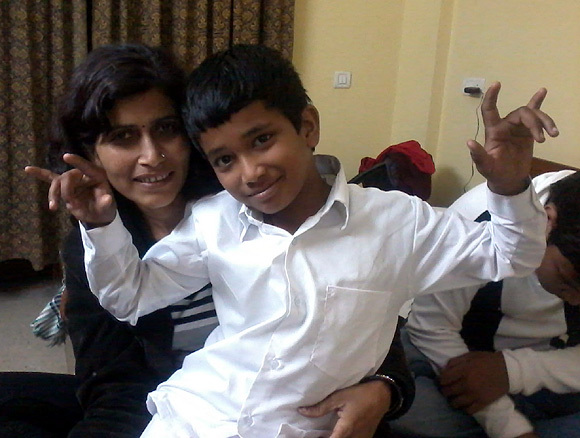 Nine-year-old Devansh's mother Shashi Tiwari recalls the day in June 2012 when she had returned home. "Everyone came running to me and said, 'Aaj toh Devansh ne kamal kar diya (Today your Devansh has done something great)," she calls. "Devansh is very naughty, and was wondering what he has done now," she adds, almost in splits. Devansh held out his feet and pulled out his friend, who had fallen in a tank, to safety. 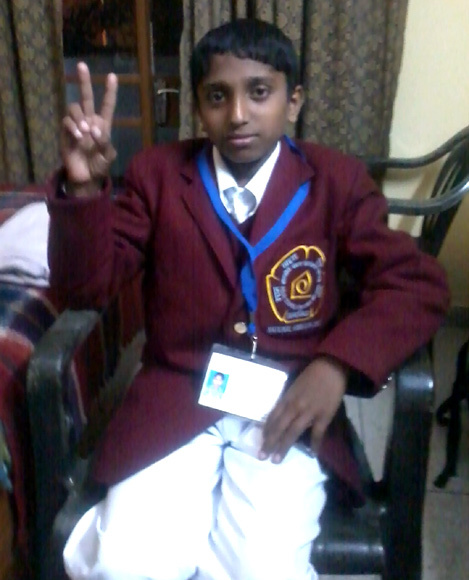 Talking about his visit to New Delhi, Devansh says he has had an exciting time. 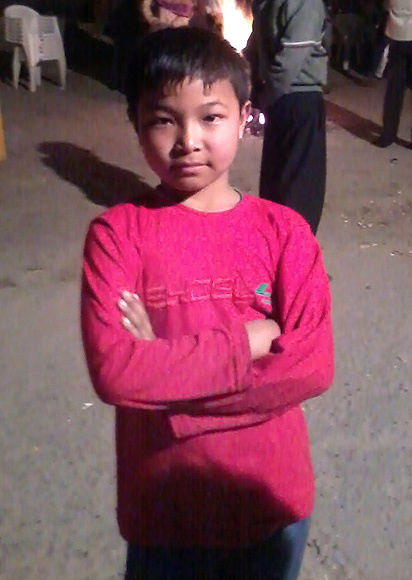 "When I grow up, I am going to be a soldier in the Indian Army," he declares. His mother says he made up his mind ever since he was dressed like a soldier in a fancy dress competition in school. "He has a cousin who is in the army," she explains. Public apathy is one of our biggest flaws and that is how we Indians conduct ourselves. But this is what makes 17-year-old Viswendra Lokhna a cut above the rest. One day in August 2011, Viswendra along with his cousin Satendra, also 17, found a jeep in the dumps of a crater filled with water. It had lead to a massive traffic jam on the road near their home in Palwal, Haryana. "People stood and merely watched while the two jumped and saved three people from the jeep. The driver didn't survive," says Rajbeer Lokhna, Viswendra's father. Viswendra is a part of the National Cadet Corps and wants to join the army soon. Seventeen-year-old Tarang Atulbhai Mistry narrates a similar story. He had gone to Narmada ghat at Nareshwar with his family. It was Holi. "Soon, I heard cries from people for help," he says. A few people were drowning. Tarang rushed to the spot and rescued four people. Unfortunately, five others died in the same incident. Tarang has been awarded the Bharat award. A student of science, he plans to pursue a career in engineering. 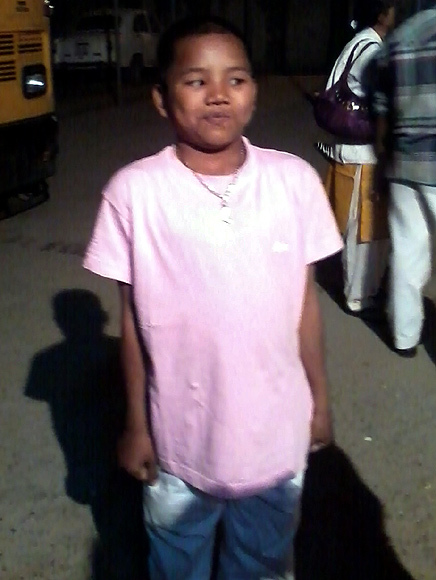 Vishnu, 18, spotted three girls crossing a railway track at the Chalakudi railway station. "One of them fell on the tracks, and couldn't get up even as a train was approaching," he recalls. Vishnu got the girl off the tracks just in time. He has recently completed a course in welding from a local ITI. "But I want to study further now," he says. "I want to become an automobile engineer now," he says. "My aim is to work for a multinational company." He, however, regrets that he has been unable to get in touch with the girl he saved. "I tried looking everywhere, asked so many people, but just couldn't find her," he says, while his roommates laugh. His roommate is 14-year-old Suhail KM. He saved his friend Farukh from drowning in a river, when he fell while crossing a bridge. He hails from Bhagamandala, Madikeri taluk, in Karnataka. Suhail emphasises that he was never scared of jumping into the river, even though he admits that he is not a great swimmer. "I was confident that I would save him," he says. He loves to play football and volleyball and wants to become a doctor when he grows up. "He also sings very well," Suhail's friend teases him. "You should hear him sing," says his brother-in-law, who has been accompanying him on his trip to the capital. Among other recipients of the National Bravery Awards are: Hali Raghunath Baraf, a young tribal girl from Thane in Maharashtra; Ramdinthara from Mizoram, who has been awarded posthumously; Gajendra Ram from Chhattisgarh; Akanksha Gaute, who is also from Chhattisgarh; E Suganthan (Tamil Nadu); Renu (Delhi); Vijay Kumar Saini (UP); Stripleasemen Mylliem (Meghalaya); Ramith K (Kerala); Sameep Anil Pandit (Maharashtra); Mebin Cyriac (Kerala); and Sapna kumara Meena (Rajasthan).